Famous restaurant designer Russell Sage Studio created a striking interior of warm timber, soft leather and bespoke art as a haven for those who want to enjoy their pre-flight experience. 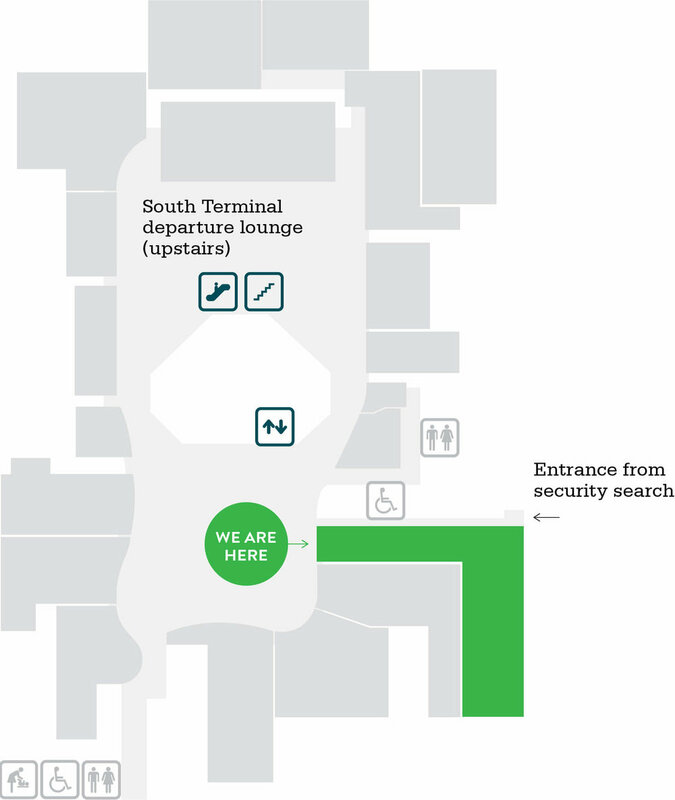 You will find us in a corner of the South Terminal, next to Wagamama. Come up the lift and we are directly ahead of you. Or head up the escalator and turn right. Come and find us next time you fly.